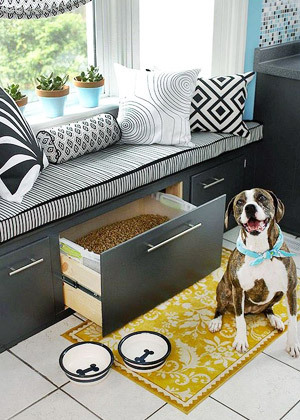 4 Super Solutions For Extra Seating & Storage! Home → 4 Super Solutions For Extra Seating & Storage! Pretty AND practical, banquettes are a terrific choice for a variety of kitchen layouts. Save space and use indoor / outdoor fabrics for easy maintenance. Add lots of panache with comfy throw pillows to create a special hangout in your home. The L-shaped banquette, featured above, works perfectly with a rectangular or oval table. 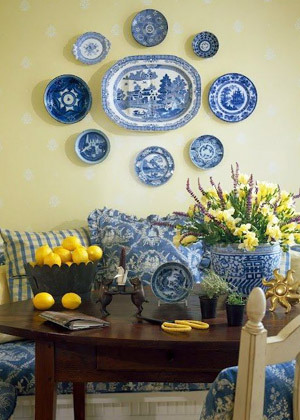 Inspired by Monet's Giverny kitchen, this charming blue and yellow eat-in area is one of our favorite spaces! Doing double duty, this window seat creates a relaxing spot AND extra storage! 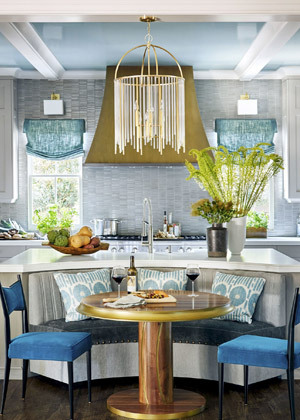 The 2016 House Beautiful Kitchen of the Year tucks a "demi lune" banquette into the curved island. Ideal for a round table, this award-winning setting maximizes space. "Thanks for all your help on this project.... my sisters were all soooooooooojealous.. Thanks again"